Hypermagnesemia (high magnesium level in the blood) is a concentration of magnesium in blood higher than 2.1 mEg (milliequivalents per liter of blood). Individuals almost never experience this disorder until they use drugs which consisting of magnesium, such as certain purgatives or antacids; or have failure of kidney and are taken magnesium salts. Hypermagnesemia may cause impaired breathing, low blood pressure, and weakness. 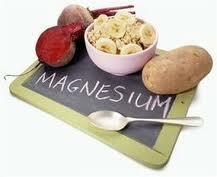 The heart may stop beating, if the blood magnesium concentration becomes higher than 12 to 15mEq. per liter of blood. Severe Hypermagnesemia’s treatment consists of respiratory and circulatory support and intravenous Calcium Gluconate administration. 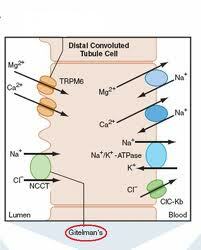 Strong intravenous diuretics may increase the magnesium’s excretion from the kidneys. If the kidney is not functioning normally, dialysis may be required.